This tool is a comprehensive, nationwide listing of known high-accuracy topographic and bathymetric data for the United States and its territories. 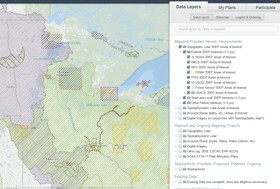 Use it to explore available elevation data in your area of interest and view basic information about the datasets. 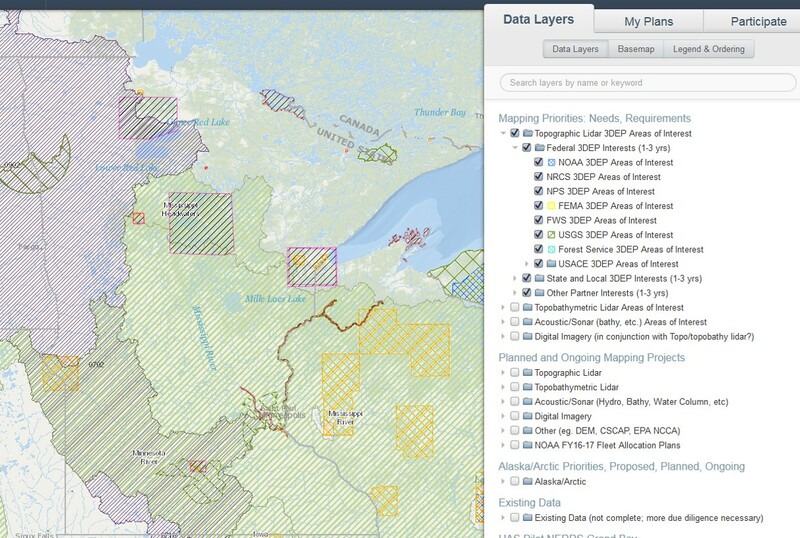 This project's goal is to help enable coordinated planning between federal agencies and partners in order to meet more than one mapping need with the same data. It hopes to convey where mapping is planned to happen to help eliminate redundant efforts and acquire more data that everyone can use. The site enables sharing requirements and plans, comments and feedback. This committee promotes planning, funding, acquisition, and management of three-dimensional geomatic data and derived products. The primary goal of 3DEP is to systematically collect enhanced elevation data over the United States and the U.S. territories.